2015 Advertising: Media, Cars, Phones... Click Fraud - Wiest & Co.
As a marketer, you need to stay abreast of changes in advertising. But with all the froth that usually accompanies advertising news, you can’t be faulted for simply tuning it out. But really, there are important “sea changes” in the ad world that affect your business. Here’s my distillation of big impact changes — and evidence of societal changes. Last week Advertising Age featured a special pullout section on “Consumers on the Go”. Great read! Even more alarming is BusinessWeek’s expose cover story, “How Much of Your Audience is Fake?”. 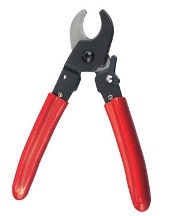 Let me save you time. Here are highlights and a couple bonuses. Let’s Talk Dollars: TV’s reign to end! Zenith Optmedia forecasts that TV will still rule in 2017 advertising dollars: 34.6%. 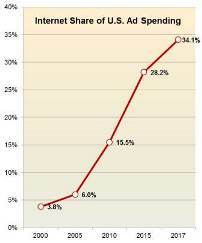 But,internet advertising will be nearly equal, 34.1% of all advertising, up from its 2015 level at only 28.2% of ad dollars. The total 2017 USA media spend $67.2 billion. So, online seems rocking it with social media (online) and “just in time / just for me” data consumption; while TV’s for entertainment. To put an exclamation point on it, two-thirds (67.5%) of Millennials live in mobile only households. 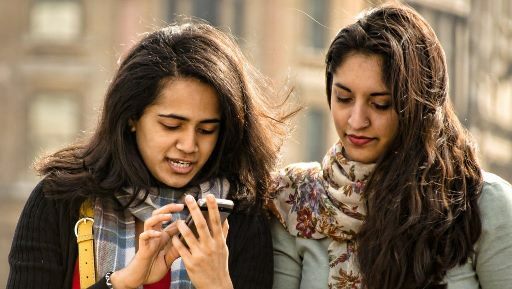 Confirming common perception: Millennials are also on social media than Boomers: 46.1% agree with “My friendships would not be as close as they without my cellphone”; Boomers 24.2%. 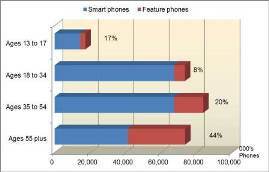 But Who’s Really Buying on Mobile? 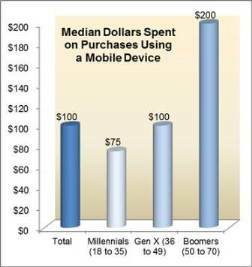 Despite higher smartphone penetration, Millennials have yet to catch up to Boomers in mobile-purchasing. Forrester reports in 2015, it’s still Boomers leading the way. They still have more dollars in the pocket, even if they have a mortgage. Now some fun quizzes. Put these models in order of forecast sales for 2016. Rank the top five from this list: Honda Accord, Honda Civic, Toyota Camry, Ford F-150 and Honda CR-V? See answers at the bottom of this post. From a marketing perspective, the sad news here continues. Few consumers want to trust or consult any source of information when buying a car. According to Experian Marketing, “Online” was consulted more than all other sources when consumers shop for vehicles. And that’s only 16.9%; followed by “Word-of-mouth . advice from friends” at 15.6%; Car salesperson 14.4%; Advice from family 14.3% and only 13.3% for Consumer buying guides. Clearly, vehicle buying seems a personal thing and consumers seem increasingly to do their research online, an admittedly large category of data. 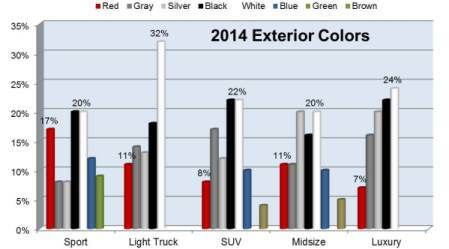 Finally, which are the most popular colors on USA vehicles? If you guessed White, you’re right. According to PPG Industries (who makes the paint), White is selected by 23% of Americans overall (less than Europeans 28% of their new vehicles are white). Yet it varies by vehicle type. Here’s a sample of the key categories. Late that year he and a half-dozen or so colleagues gathered in a New York conference room for a presentation on the performance of the online ads. They were stunned. Digital’s return on investment was around 2 to 1, a $2 increase in revenue for every $1 of ad spending, compared with at least 6 to 1 for TV. The most startling finding: Only 20 percent of the campaign’s “ad impressions” – ads that appear on a computer or smartphone screen – were even seen by actual people. …Fake traffic has become a commodity. There’s malware for generating it and brokers who sell it. What might sell for $1-$4 per click on Google, and content-based networks of $0.10 per click …with human traffic compares to largely suspect “Botnet” traffic that sells for $0.001 to $0.002 (one-tenth to two-tenths of a cent) per viewer. Guess what? There are brokers who arbitrage the difference. Some of this traffic might go by the name of “programmatic buying”, a term with growing favor, but faster growing disrepute. It’s too easy to blend in bot traffic and offer purported high volume. So, what’s an advertiser to do? The article recommends buying directly from the Facebook’s and content generators themselves as a solid first step. I concur and think it’s high time everyone think about messaging, not in terms of “advertising”, but more in relation to sponsoring content and activities — that are relevant to your consumers. Bloomberg Businessweek has just opened the story and link. So, while I think it would be nice if you actually paid for that content, here’s the new link! Always eager to hear your thoughts.